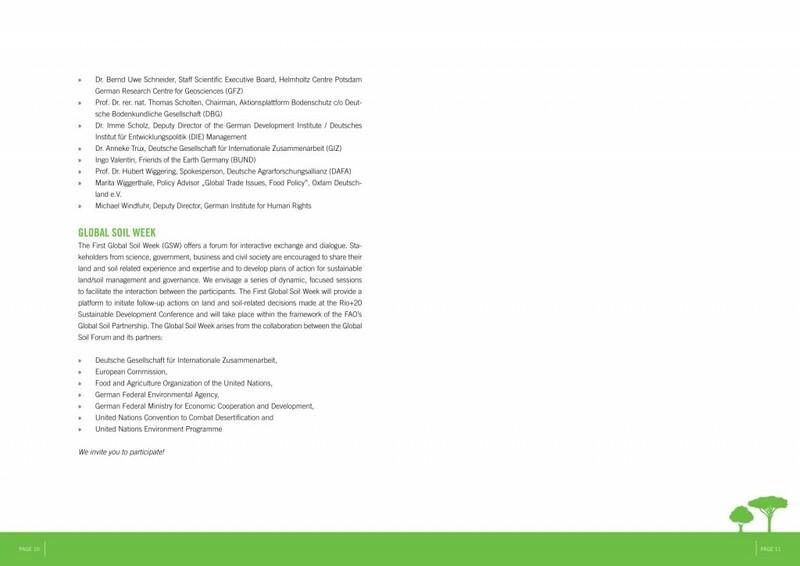 For a better reading experience, please open the E-Reader in full screen mode (arrow in the top right). 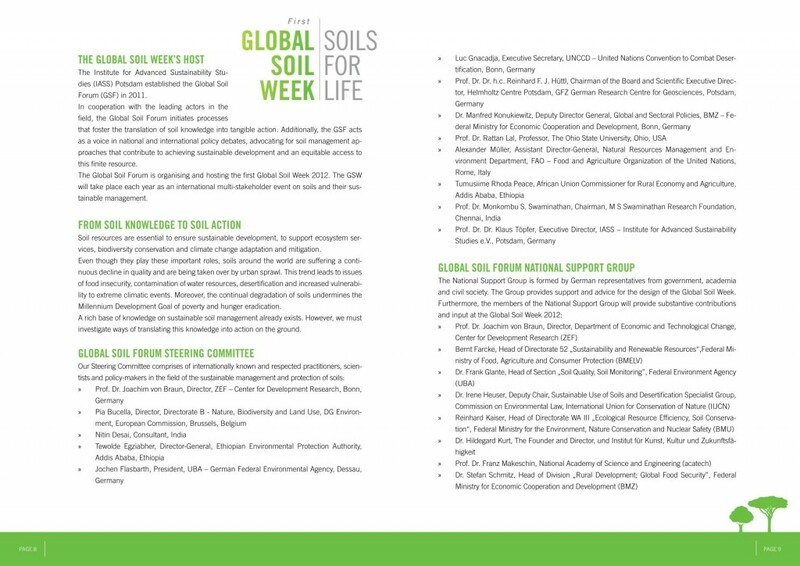 To view the press coverage of the first Global Soil Week 2012 please click here. 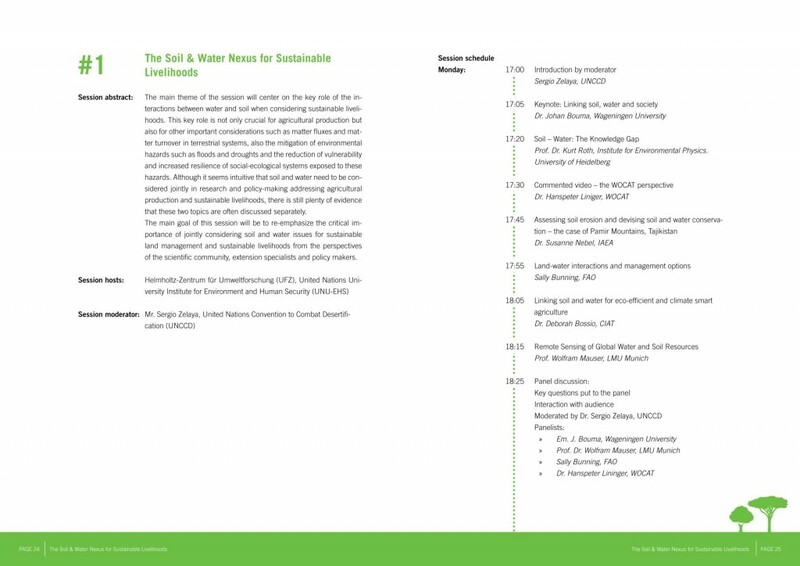 To view the gallery of the first Global Soil Week 2012 please click here. 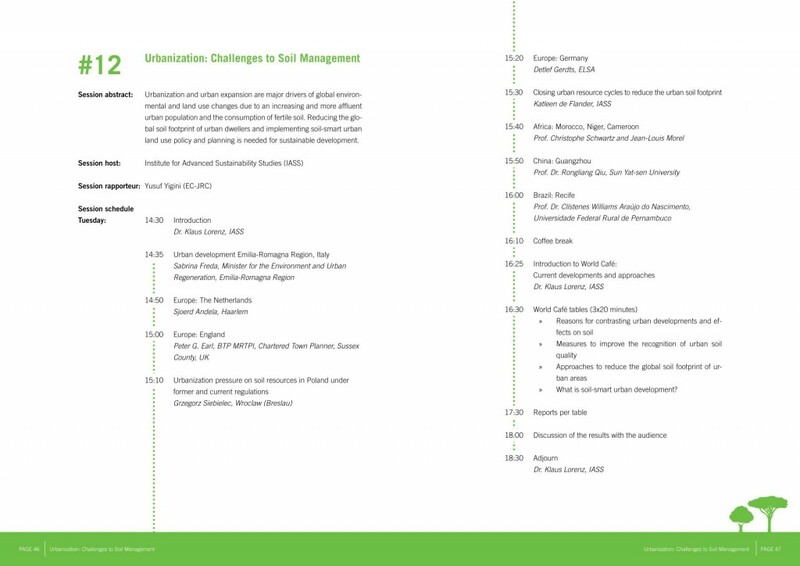 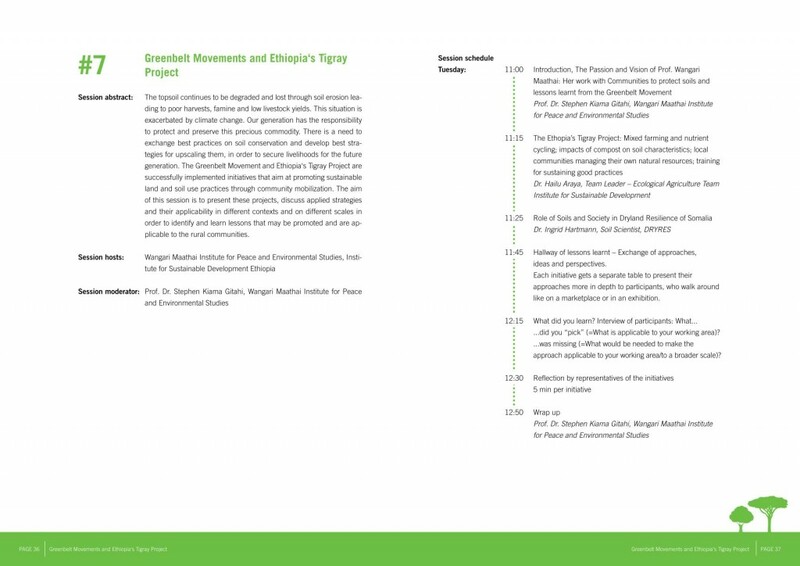 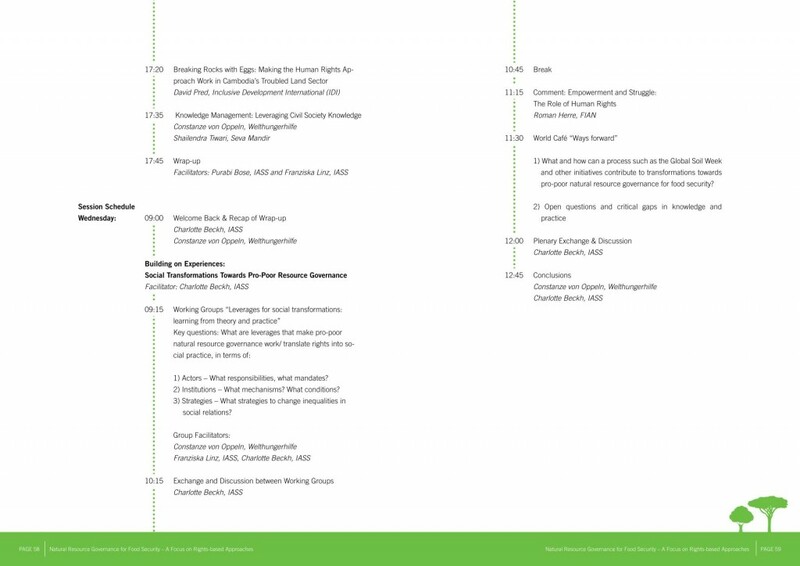 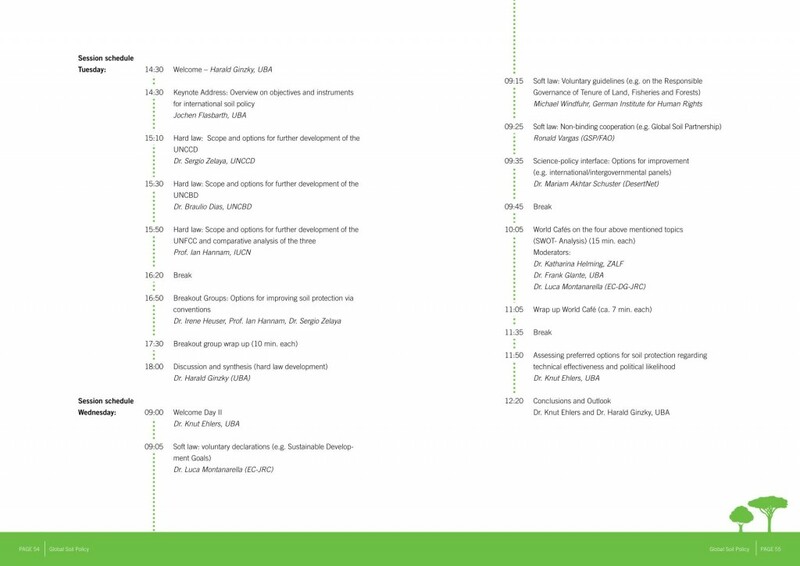 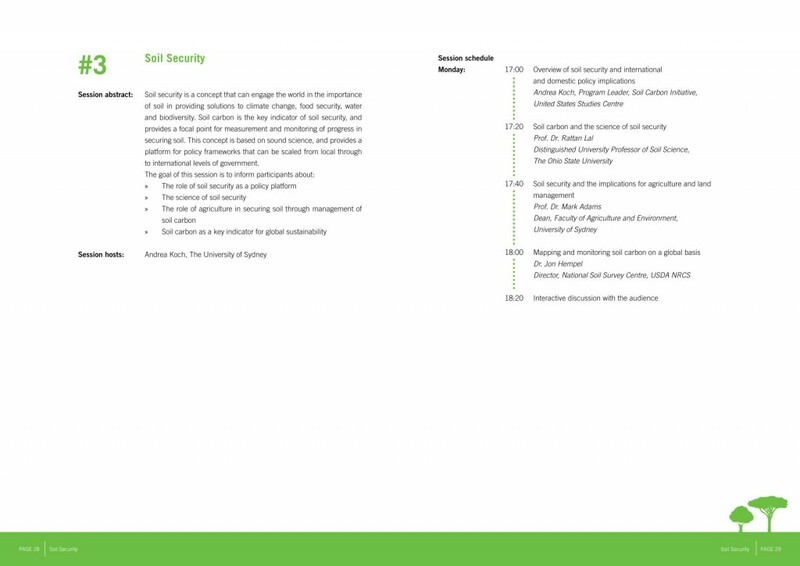 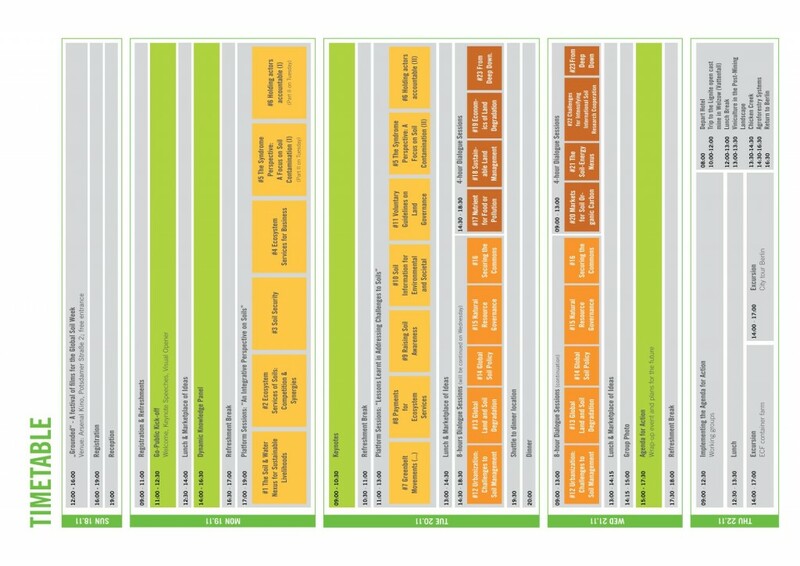 The Outcome Paper of the first Global Soil Week 2012 “Soils for Life” represents a synopsis of the core outcomes. 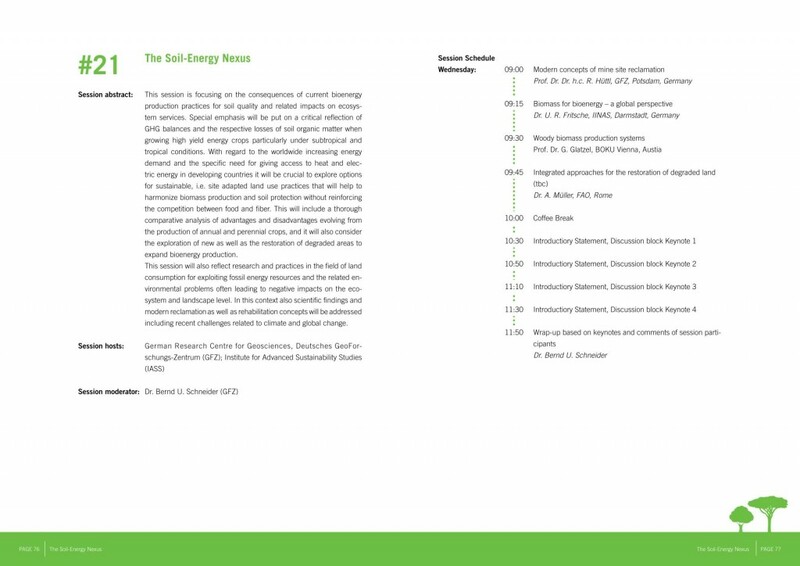 Please download the paper here. 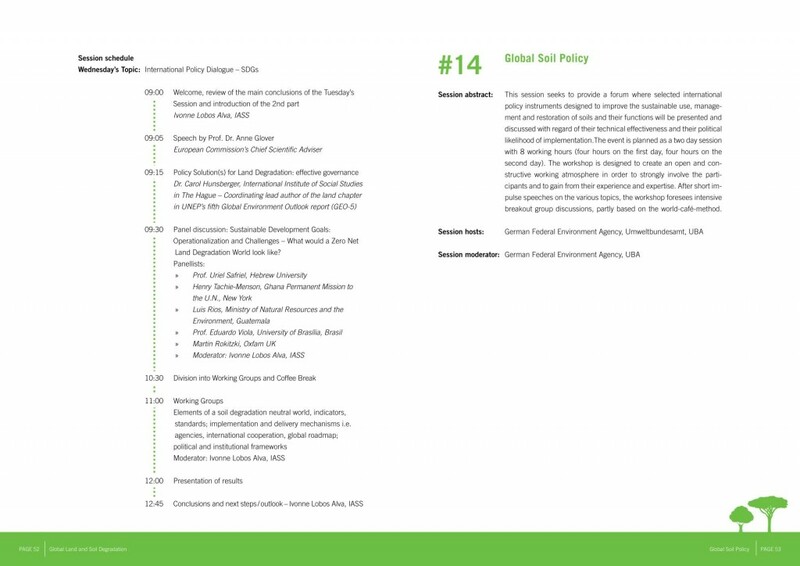 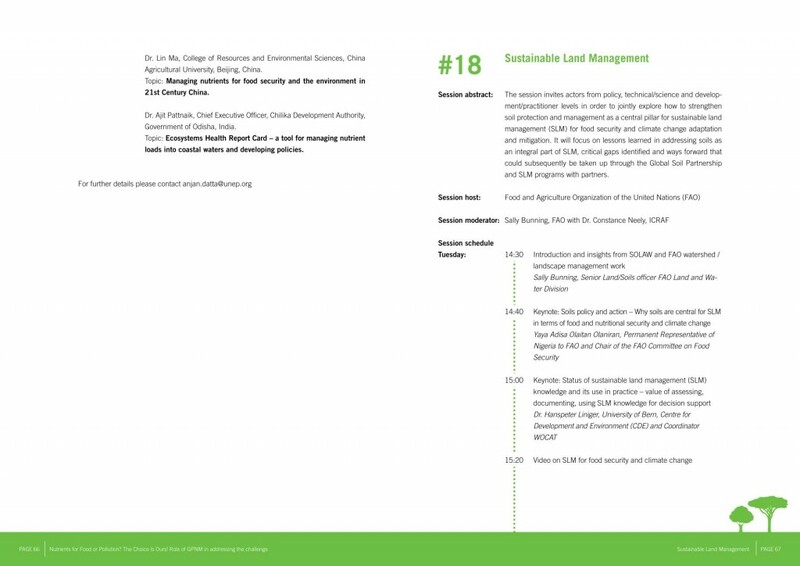 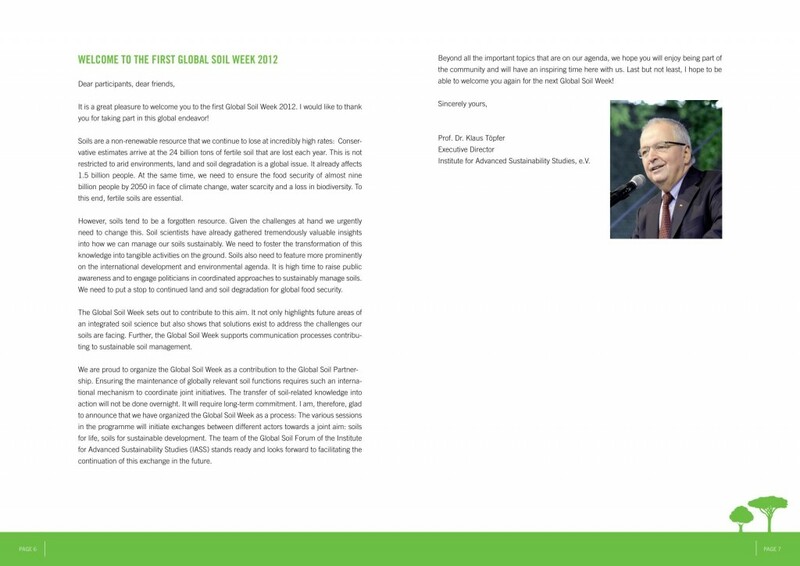 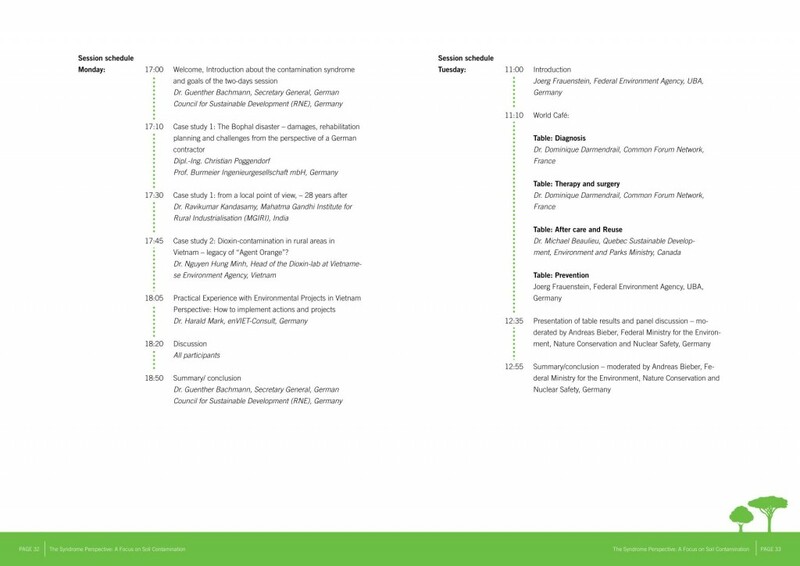 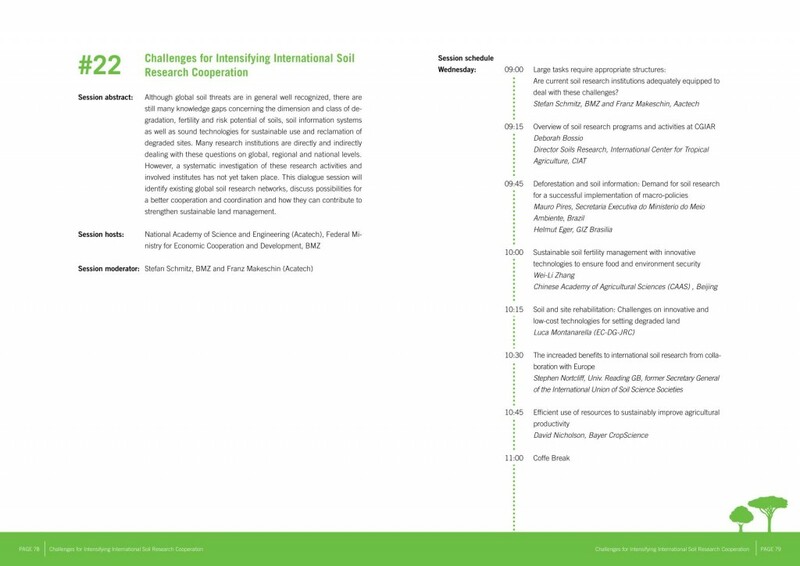 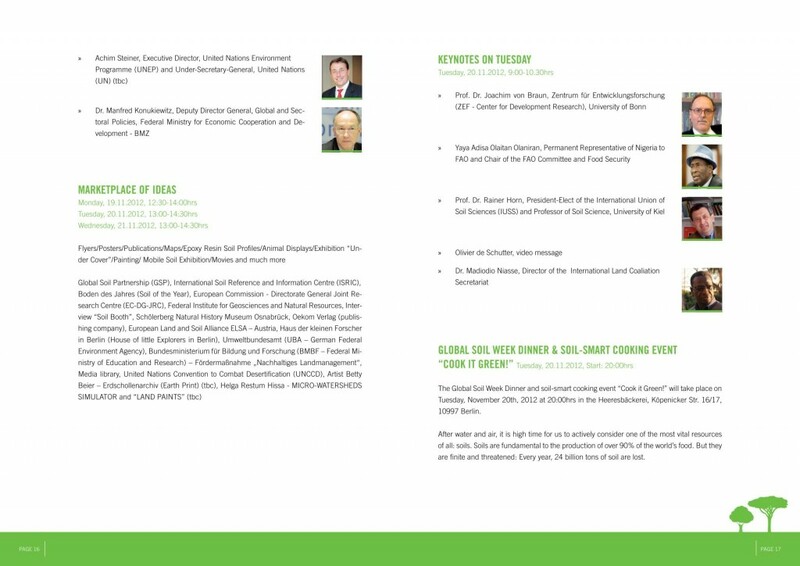 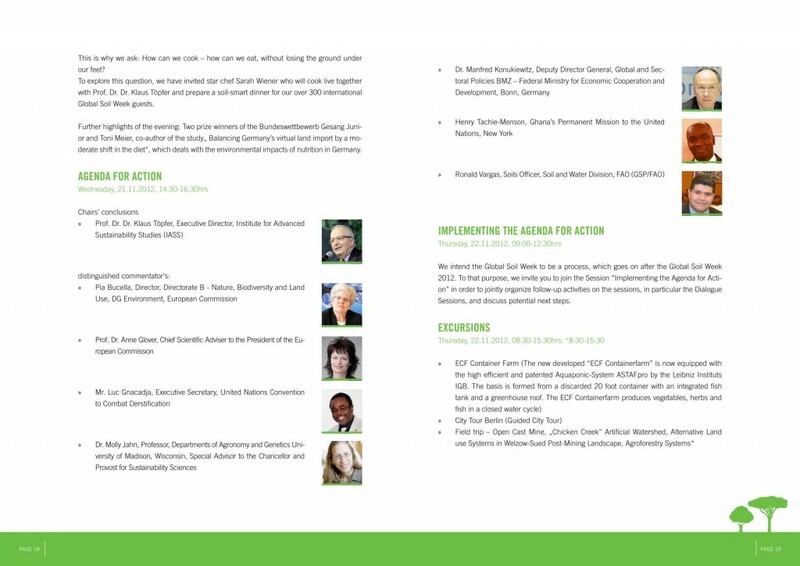 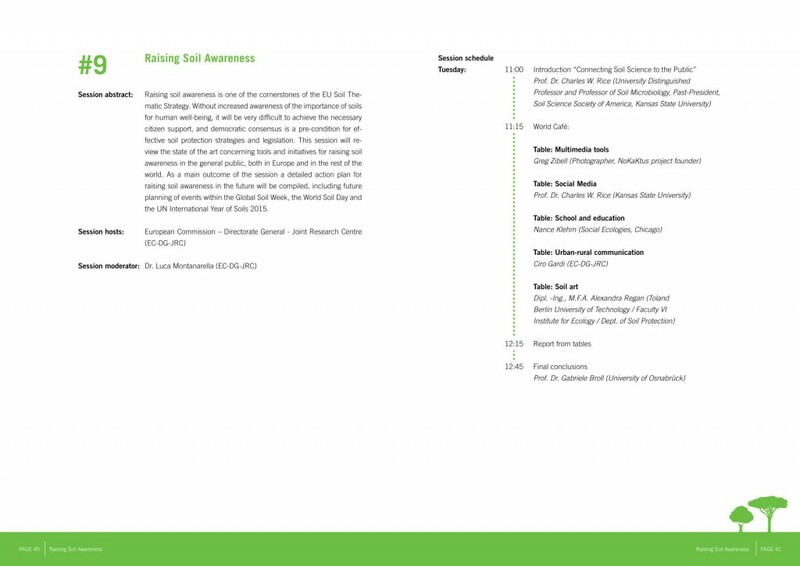 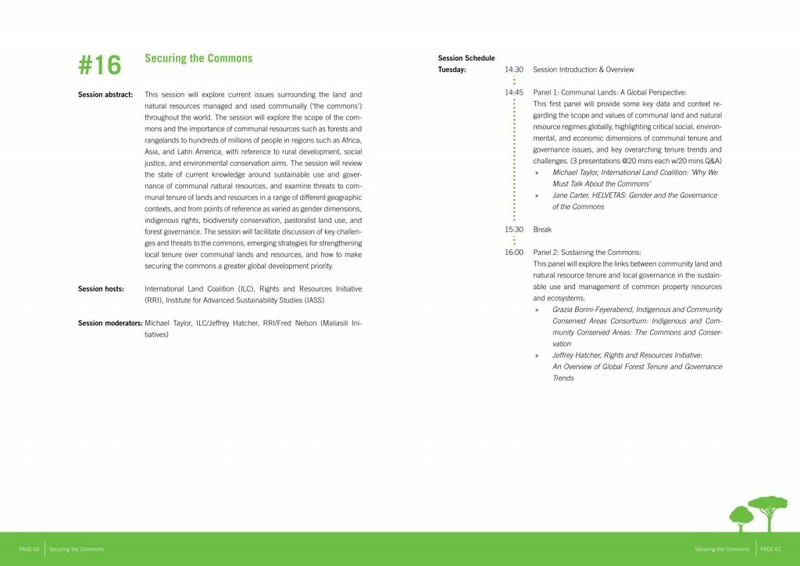 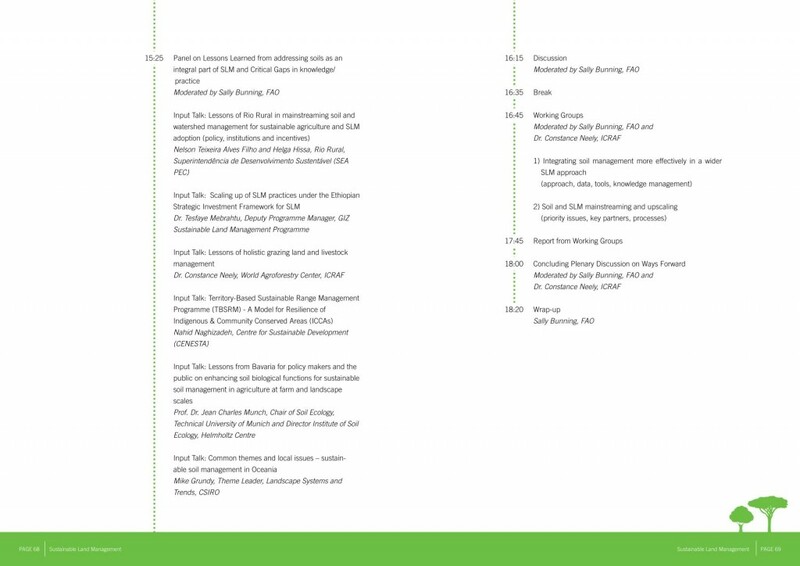 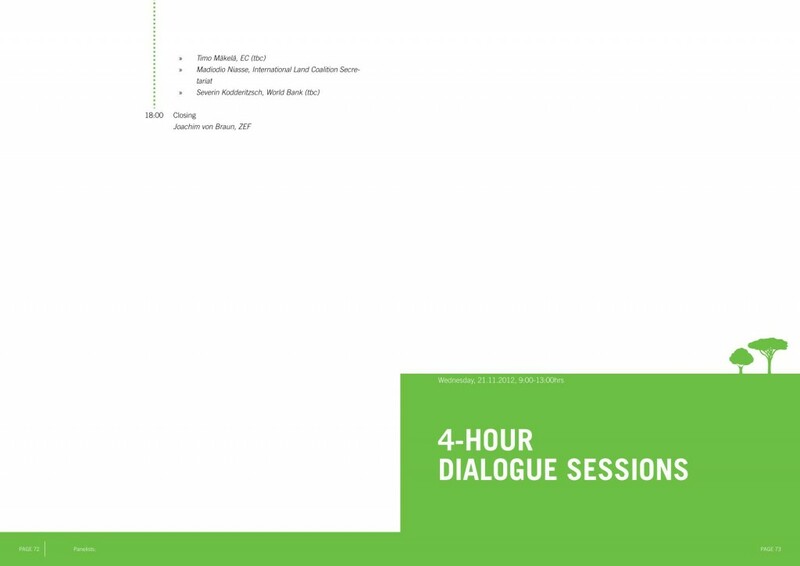 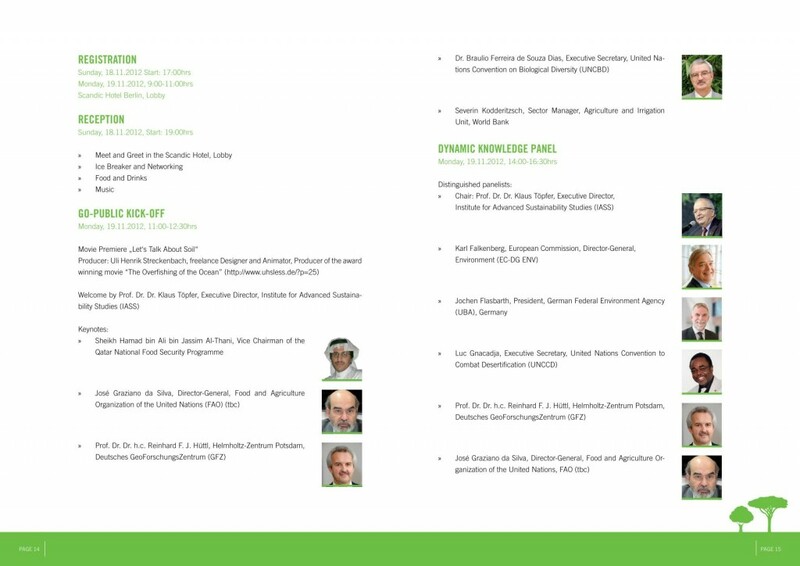 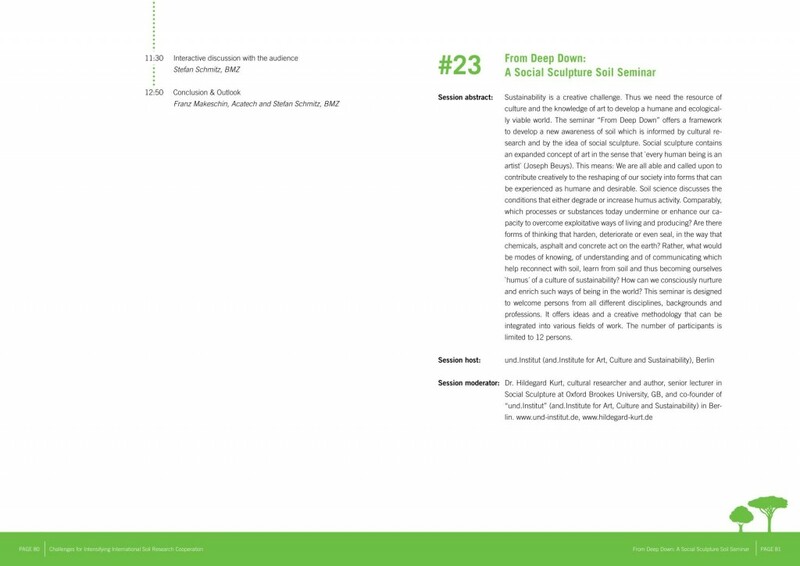 This document with the title: “Global Soil Week 2012: The Way Forward” presents the conclusions by the chairman of the Global Soil Week, Prof. Dr. Klaus Töpfer, Executive Director, Institute for Advanced Sustainability Studies (IASS), Potsdam. 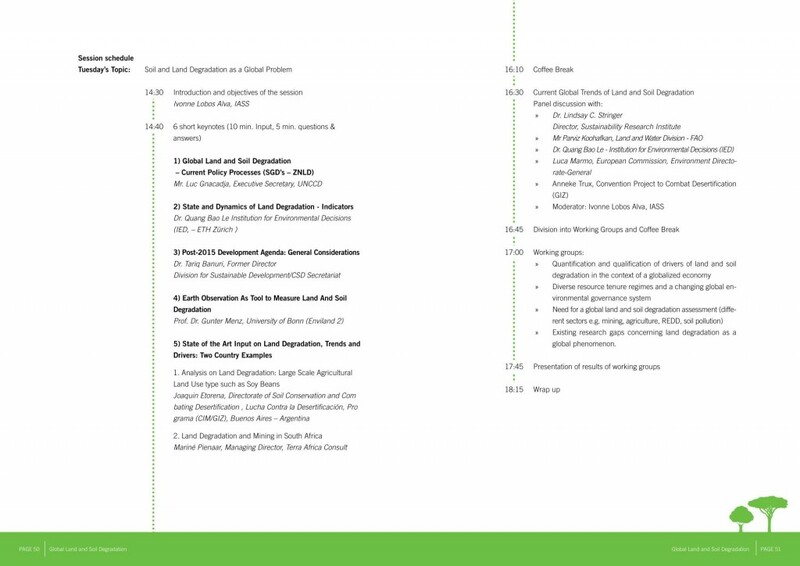 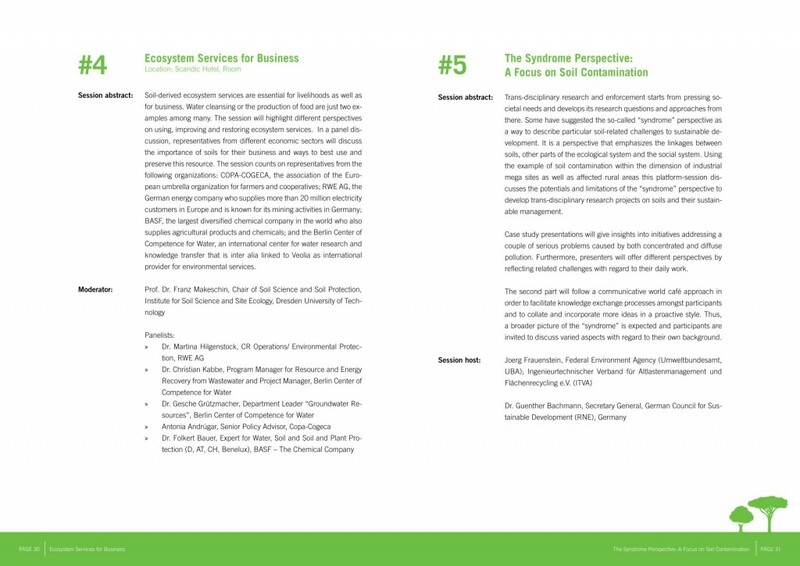 Please download the conclusions here. 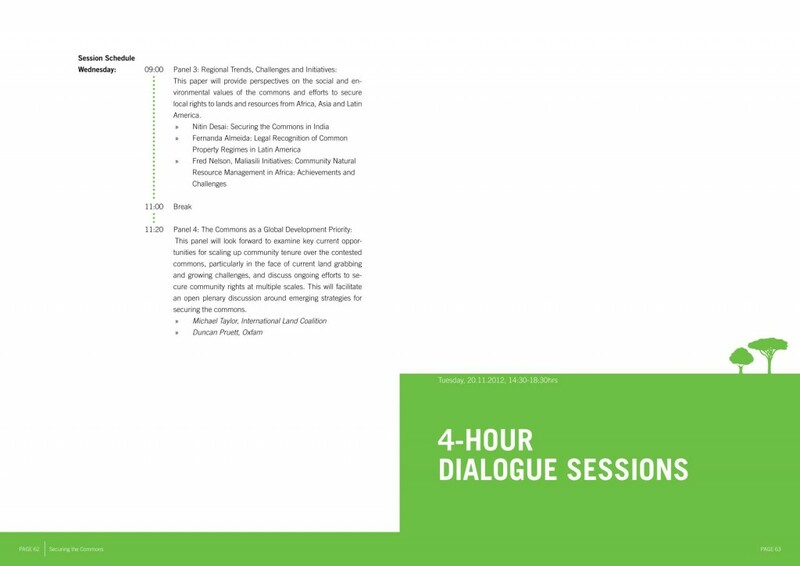 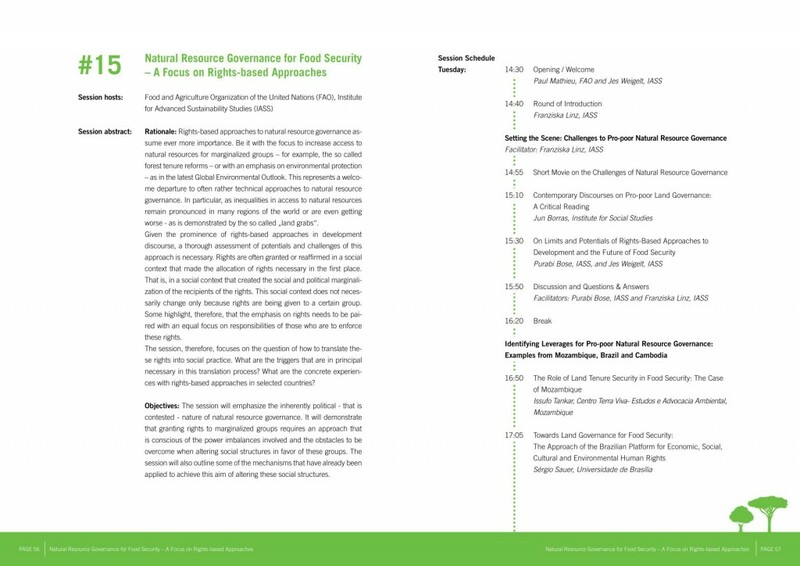 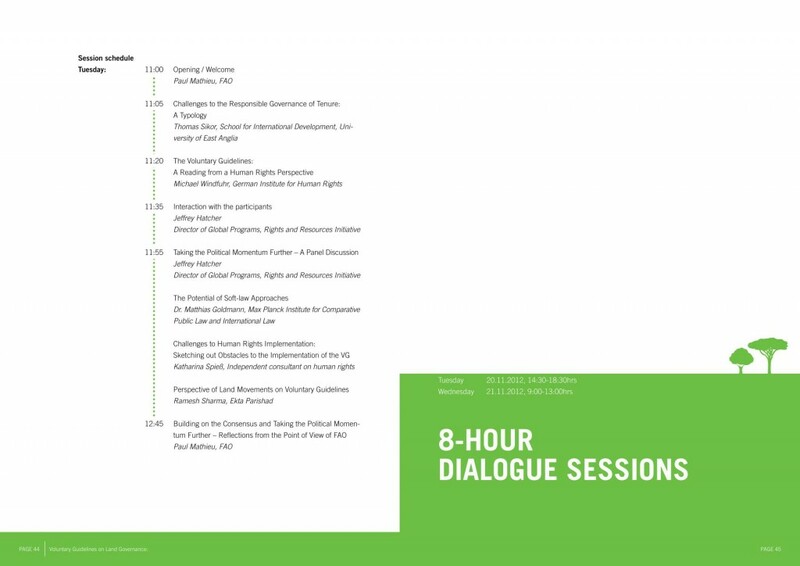 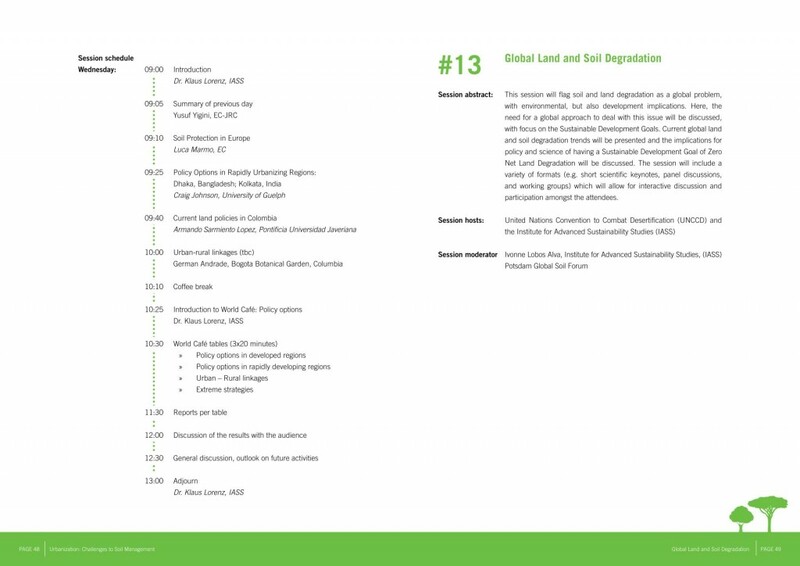 The Global Soil Forum is happy to share the Global Soil Week 2012 Rapporteurs’ Report. 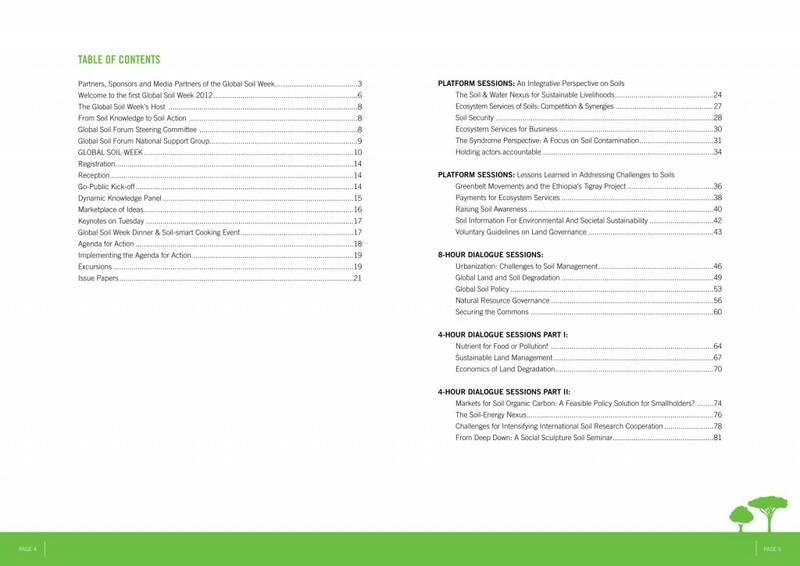 Please download the report here. 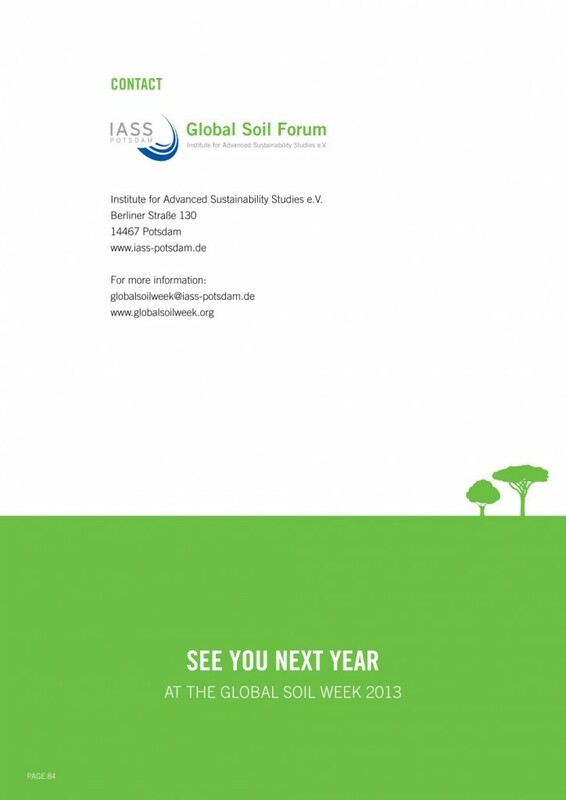 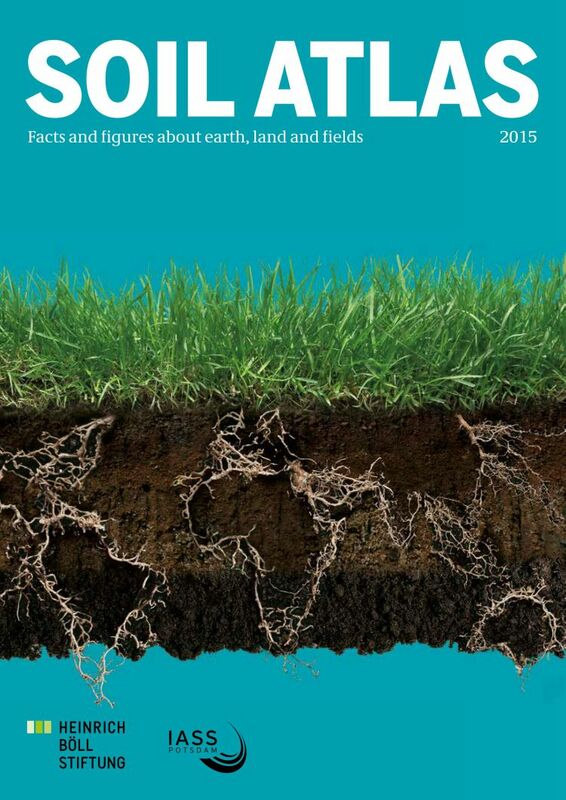 This Report gives you a short overview of the first GSW 2012 “Soils for Life” in numbers and words. 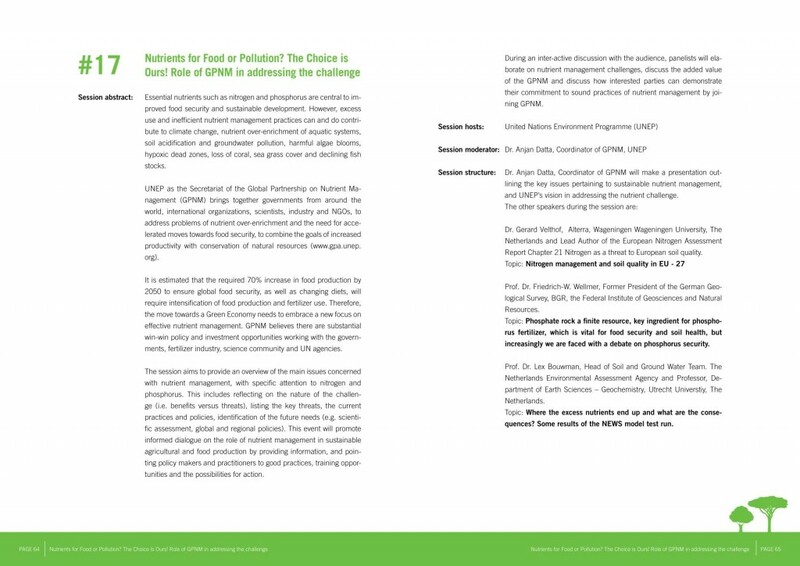 Please download the report here. 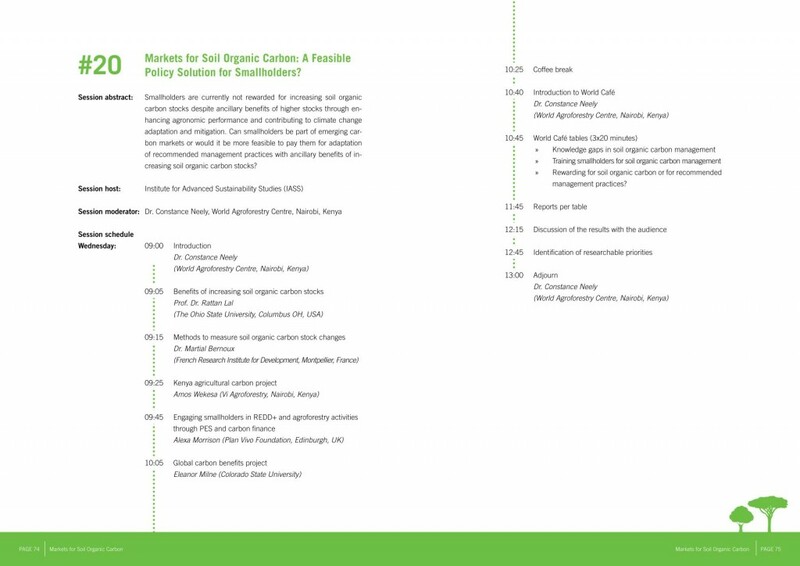 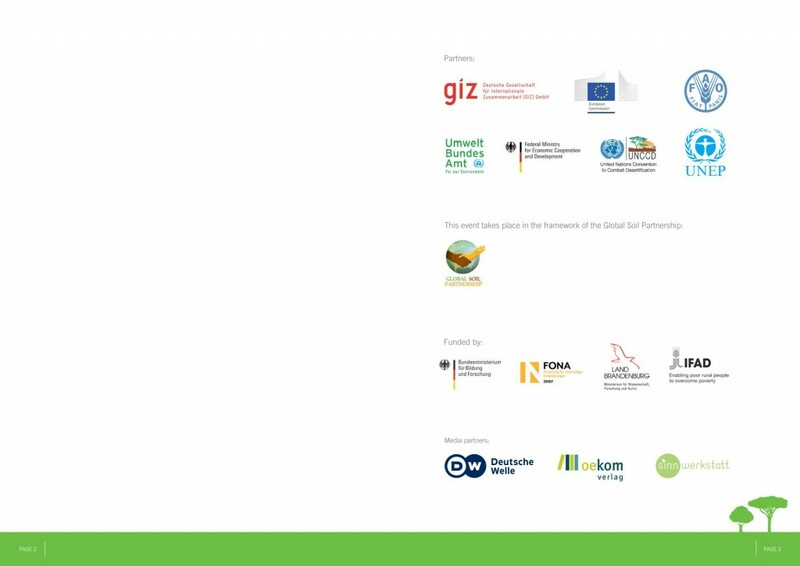 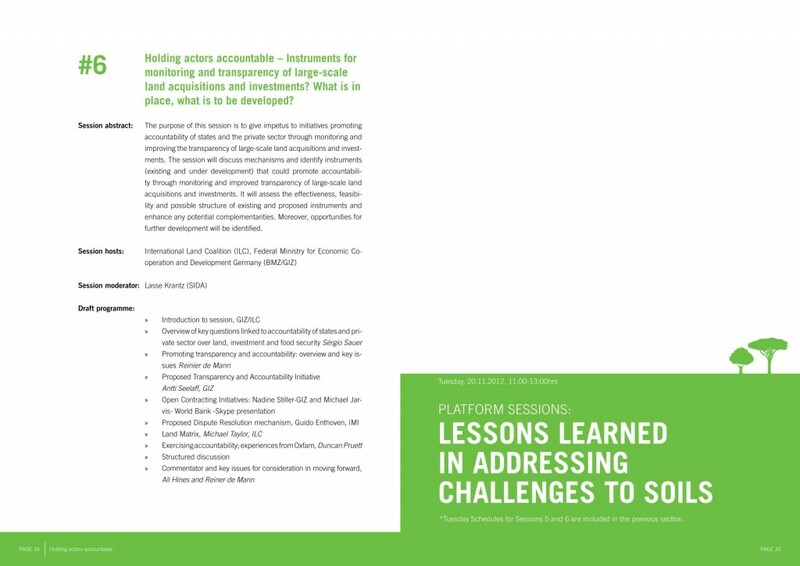 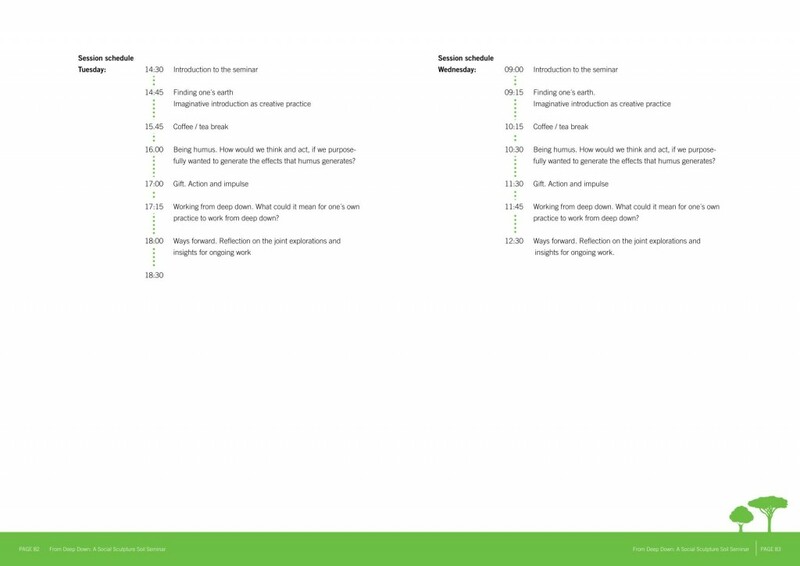 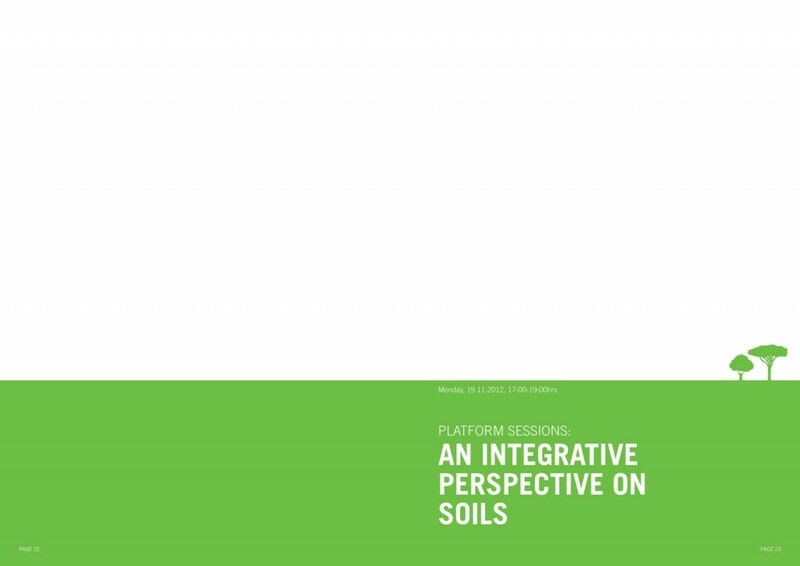 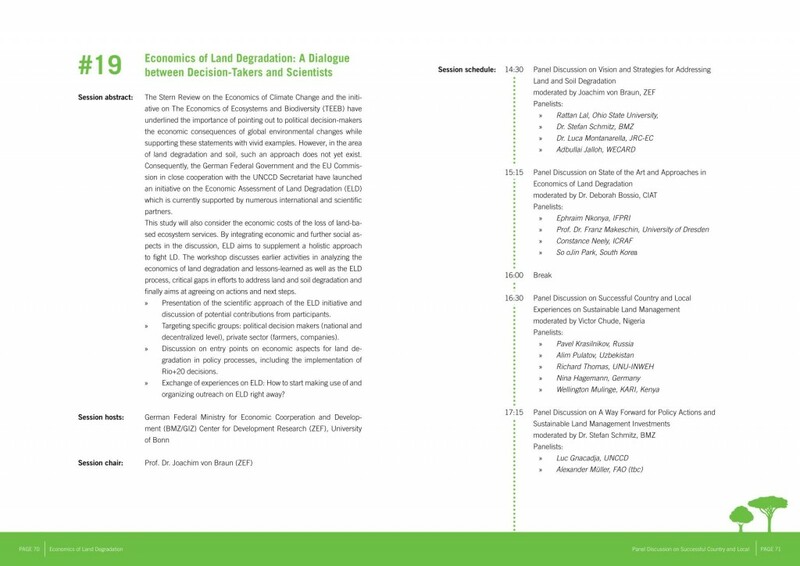 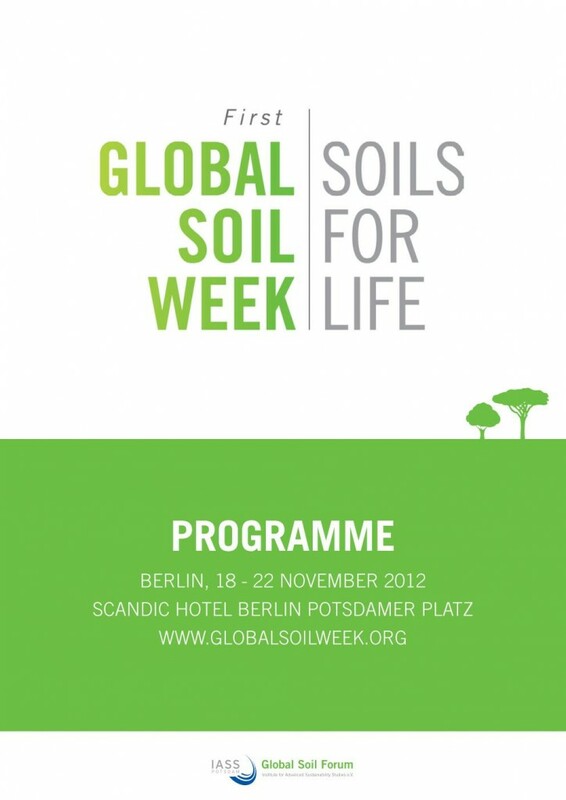 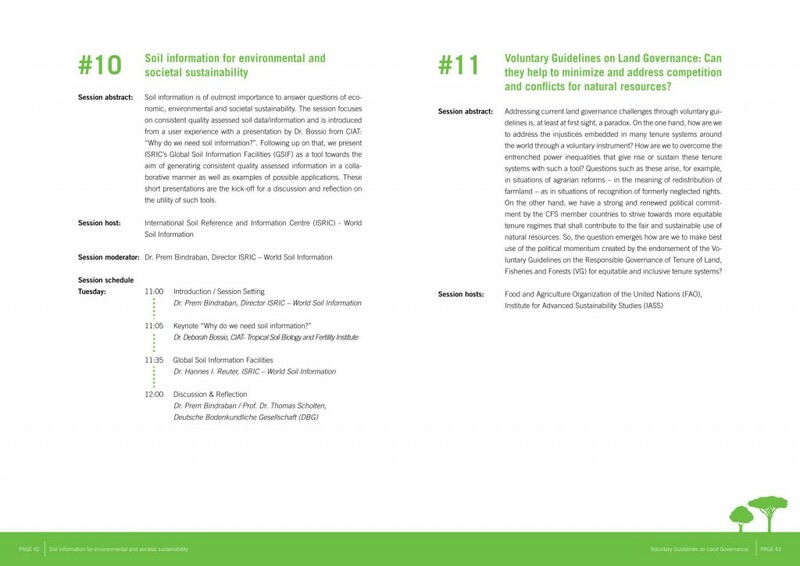 This report summarizes the results of the participant evaluation of the Global Soil Week 2012 “Soils for Life” held in Berlin on 18-22 November 2012. 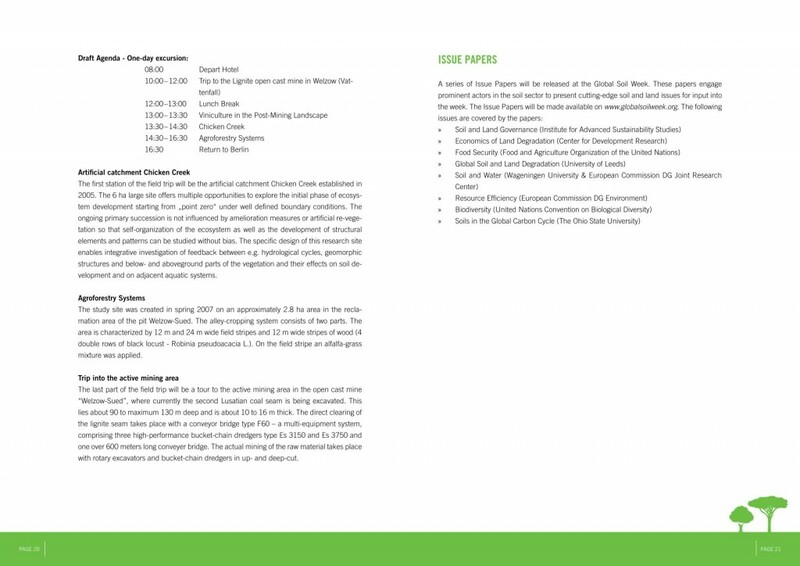 Please download the report here.